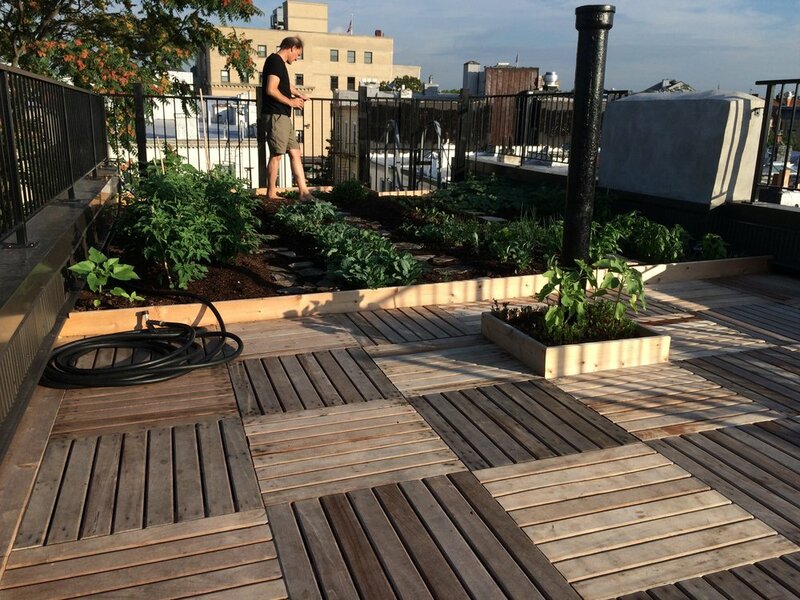 In 2016 we built this rooftop garden in Queens, where building residents enjoy a 300sf rooftop vegetable garden and large teak paver deck. We brought in roofing contractors to reinforce and re-waterproof the 100 year old roof, and finish the job off with a new safety rail. The building residents are growing lettuce, tomatoes, peppers, kale, strawberries, and raspberries, among other seasonal vegetables.